Start the party with rich sound quality. 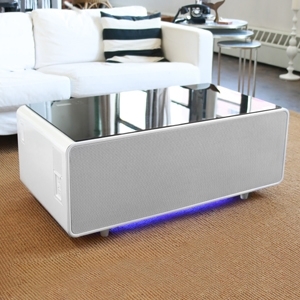 Speakers on each side of the Sobro coffee table deliver enhanced sound and bass. LED lights on the underside of the Sobro set the mood for a Netflix night or your next big bash. Control it all right from the tabletop. No app download required. USB Charging ports and outlets on the side allow you to conveniently charge all your devices, from phones, to tablets, to your miniature indoor drone. When you’re done, roll up your cords and stash them neatly out of sight in the storage drawers. 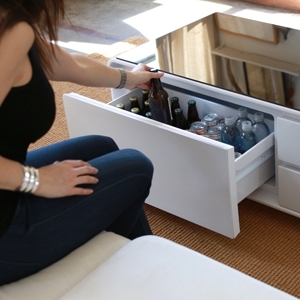 A built-in refrigerator keeps drinks cool for days and stores your beverages for any occasion. Play your favorite tunes and light up the LED lights to make your living room party central. 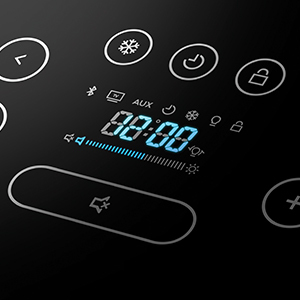 With a tempered glass top and touch controls, the power to control Sobro is right at your fingertips — no app required. And with a durable tempered glass top, you’ll never need a coaster again. We created the Sobro coffee table to stand on its own as a sleek and beautiful design. 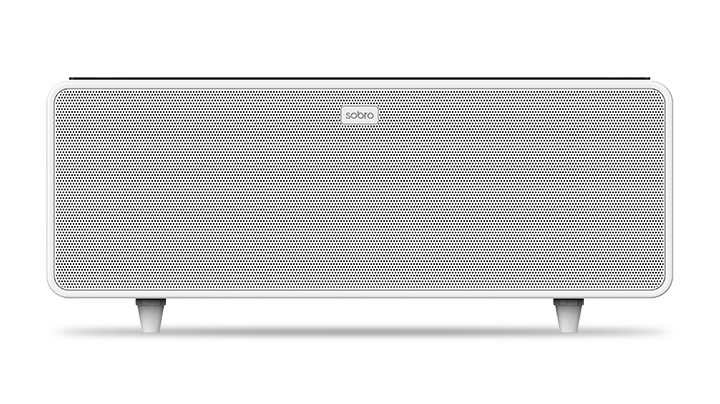 The Sobro is designed to complement your lifestyle and your living room. We wanted to create the coffee table for a modern world. 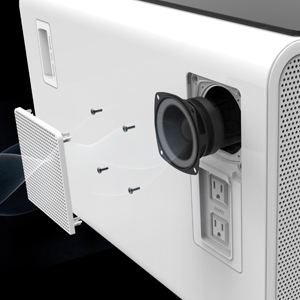 The Sobro is designed to be furniture that works with your smart lifestyle. In our always-on world, we wanted to make it convenient to charge all of your digital devices and get a cold beverage without ever leaving the couch but we didn’t stop there. 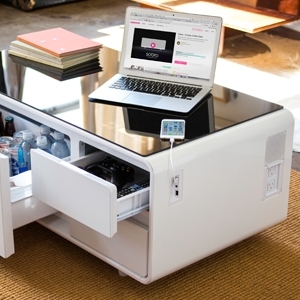 Never before has a simple coffee table been so advanced. The Sobro not only accommodates your individual world, but acts as a command center to bring people together. We grow and learn with our products. The Sobro is just one example of how we seek to expand and are inspired by what we create at StoreBound. Just like the Sobro, we stay connected.